What I am about to propose to cope with the current pressure on the Southern Border would be effective, inexpensive, and non-controversial — and will likely never happen. It would make a substantial impact on the non-Latin-American nationals coming through Central America, and Central Americans coming through Mexico, to our borders, but it will not be used because it fails the "big symbol" test used by the White House. We know from the media, and particularly from the reporting of my CIS colleagues, that many in Mexico and Central America help migrants on their way north. In the case of the Central Americans, Mexican cops hail down trucks and tell them to carry some of them north, some Mexican states rent buses to move the migrants on to the next state, and some Mexican nationals drive those buses. Others help the caravan people in other ways. And, even more flagrantly, according to my colleague Todd Bensman, "special interest aliens" (SIAs) from, for example, the Middle East, routinely travel through nations such as Panama and Costa Rica, on their way to, they hope, an illegal entrance through our southern border. Many of these are apprehended or otherwise identified by the national governments, stashed in a detention center for a couple of days, and then bused on to the next border, where the process is often repeated by the next nation. Here are my suggestions for how these problems can be addressed in Mexico and Central America. Many people in Mexico, particularly the middle class, want to come to the United States for legitimate purposes, such as for shopping, as tourists, or as students. To do so, they need visas and they must be able to clear customs in our airports or at the border. Step Two. DHS will hire several undercover agents who speak Spanish and Central American indigenous languages to infiltrate the northward-bound caravans; they will, as a caravan moves toward our border, quietly collect the names of those helping the migrants on their way through Mexico; it would be particularly useful to get the names of the local mayors and police chiefs who help the passage. Step Three. DHS publicists will, using the intelligence captured in the prior step, create a map of a caravan's trip through Mexico, much like the ones my CIS colleagues did recently. It will show, at every stop along the way, the names of those who helped the migrants and have been added to the do not travel list. The map and the related text would be distributed to all media in Mexico. Steps Four and Beyond. As specific mayors, police chiefs, and others seek to enter the United States despite their presence on the list, press releases would be issued on their rejections at the border or in our international airports. The whole process is designed to discourage local officials from helping the caravans. Let's take a leaf from the European precedent regarding migrants from Syria, and strike formal deals with the Central American nations, as Europe has with Turkey. In this case, we would simply work out financial arrangements with the nations of Panama, Costa Rica, and perhaps others to cause those SIAs and other non-Central Americans who seek to use their countries on their way to the United States illegally to be identified and shipped home at U.S. expense. These aliens (probably including a terrorist or three) are not of sympathetic interest to the Central American nations as some of the Central Americans are to Mexico. 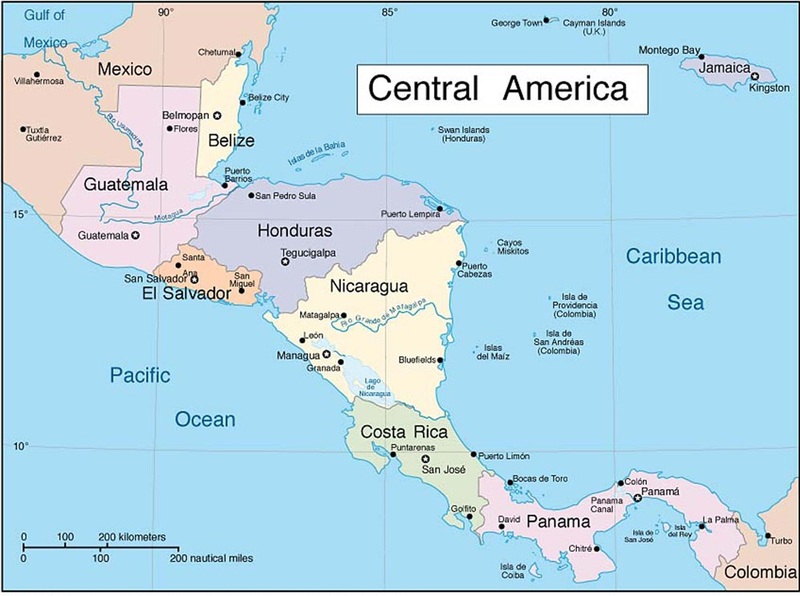 The Central America nations simply want to get rid of them, so why not pay them to get rid of them in a way that is useful to us? The individuals, by and large, are guilty of illegal entry into the Central American country in which they are identified, and the rough and ready process of deportation from, say, Panama, probably has few appeals processes. U.S. compensation to these nations should be generous enough to encourage the Central American authorities to search out this group of aliens; while a pure bonus system might not be appropriate, something like it should considered. The ultimate objective of this policy would be widespread publicity, in Cairo, Karachi, and elsewhere, that the United States is taking active and effective methods to prevent illegal immigration from anywhere through the Central American nations.